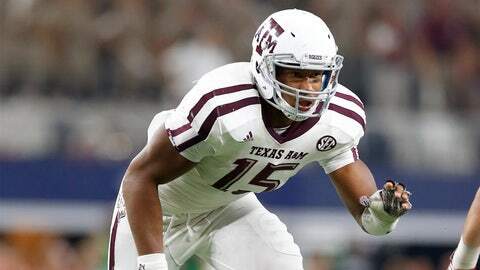 Is there anything Myles Garrett can't do for the Aggies defense? If you needed any further proof that Texas A&M’s Myles Garrett is perhaps the most athletic defensive end in the nation, here’s the latest video evidence of his greatness on the football field. Plays like these show why the Texas A&M defensive talent continues to be mentioned among the more flashy offensive Heisman contenders.